Hollywoodnews.com: Sometimes they do make them like they used to. I fell head over heels for Michel Hazanavicius’s “The Artist” at the Toronto International Film Festival. A loving homage to Hollywood’s Golden Age, this black-and-white, silent film follows fading star George Vantin (Jean Dujardin), who sees his cushy lifestyle threatened by the advent of talking pictures. 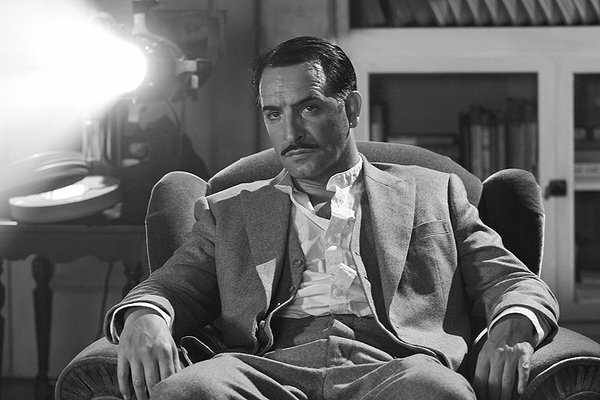 HollywoodNews.com: “The Artist” continues to win Audience Awards at multiple festivals. Does that hold an additional significance for you, because you’ve made such a crowd-pleasing film? Jean Dujardin: It’s the best prize around. We make movies for audiences, and we want to entertain them, so yes, that is the best prize. Especially, with this, being a silent, black-and-white movie, it shows that they want to see a movie like this. HollywoodNews.com: Speaking of silent films, was there a point where you finally became so comfortable with the approach that you no longer missed your voice or the ability to communicate through it in a scene? HollywoodNews.com: Mr. Hazanavicius told me that the AFI Fest screening at the Grauman’s Chinese Theater meant something more to him because of that venue’s ties to Golden Age Hollywood. Yes, it was like coming home. We shot it herein Los Angeles last year, and it really did feel like bringing it back home. HollywoodNews.com: How has he grown as a director from the “OSS” films to now? He’s more assured. He affirms what he wants to accomplish on set as a director more now. He’s just as calm as he was back then, though. He knows exactly what he wants, and he does everything necessary to get what he wants from us. HollywoodNews.com: What can you tell me about “The Players,” the film you two are working on next? Ah, it’s actually a film that has been shot and edited already. It will come out in February. There are seven short films directed by seven different directors about masculinity and fidelity. 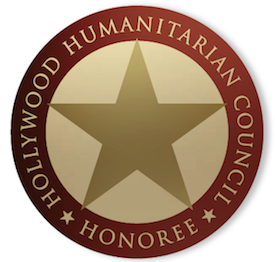 BELOW JEAN DUJARDIN GETTING HIS “HOLLYWOOD SPOTLIGHT AWARD” at the Hollywood Awards(r) Gala ceremony last October 24, 2011. – Our interview with Michel Hazanavicius. – Our interview with Berenice Bejo.